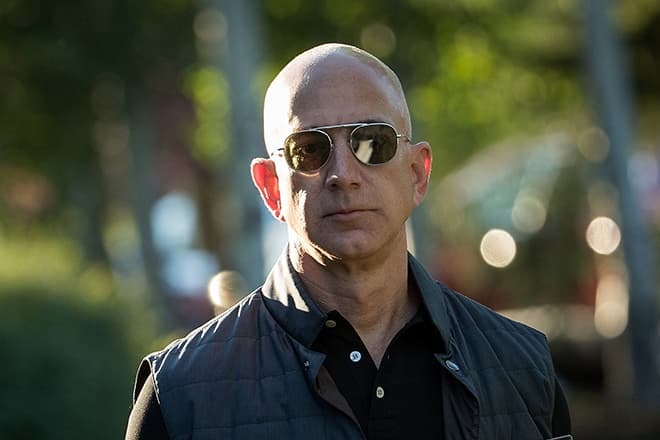 Jeff Bezos is a unique businessman, who managed to achieve the "title" of the richest man in the world in 2017. 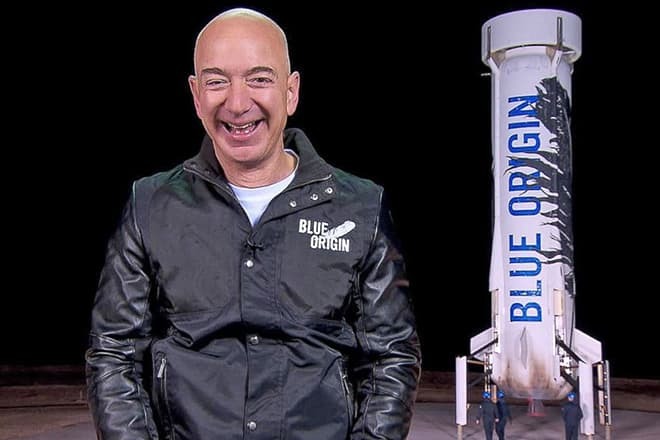 However, in addition to a big sum on the account, the billionaire can boast more impressive achievements: the man is the founder of Amazon, the owner of the famous publishing house "The Washington Post" and the founder of the first private aerospace company "Blue Origin." 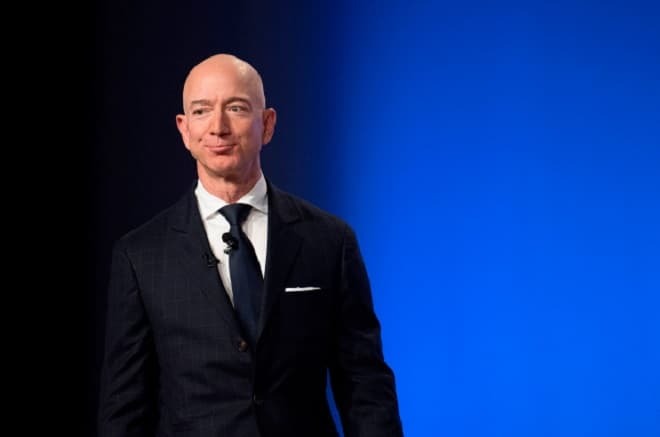 Listing the achievements of Jeff Bezos is impressive but the beginning of the biography of the future billionaire was not the beginning of a crazy success story. 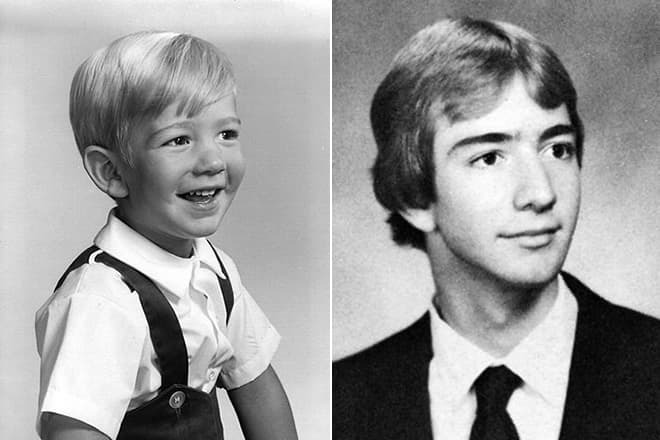 Jeff Bezos was born on January 12, 1964, in the American city of Albuquerque, New Mexico. The boy's mother was only 17 years old at that time. Jeff’s biological father did not want to take part in the upbringing of his son and left the family almost immediately. It is known that Jeff Bezos has never seen this man. Jeff's mother met a young man, Miguel Bezos four years later. Miguel is an immigrant from Cuba, ran away from home at the age of 15 and his lifestyle seemed questionable. However, marriage to the woman he loved helped the man to settle down and become a respectable family man. Miguel found a job at the bank and accepted little Jeff as his son. Jeff impressed his parents by his intelligence and an inquiring mind from an early age. The boy tried to dismantle his bed with a screwdriver when he did not want to go to bed. As he grew up, Jeff once built an alarm to keep younger siblings out of the room. Such craving for knowledge of the world could not affect the school performance of Bezos: Jeff, as the best student, entrusted the honor to make a traditional farewell speech during the prom. 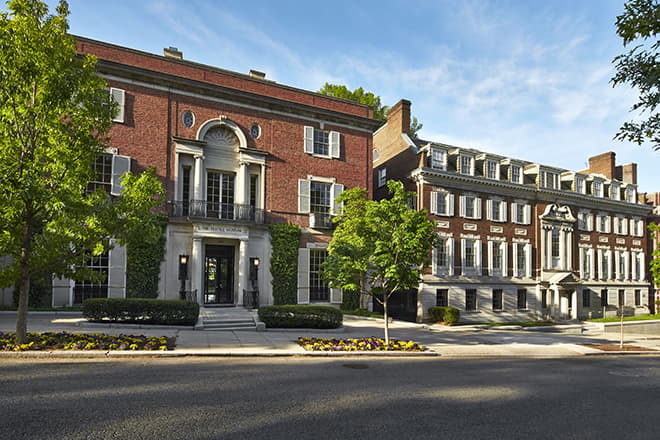 After graduating from high school, Jeff easily entered the prestigious Princeton University; he chose the faculty of electronic measuring devices. Also in parallel, the young man mastered the subtleties of programming and computer support, realizing that computer technology is the future. 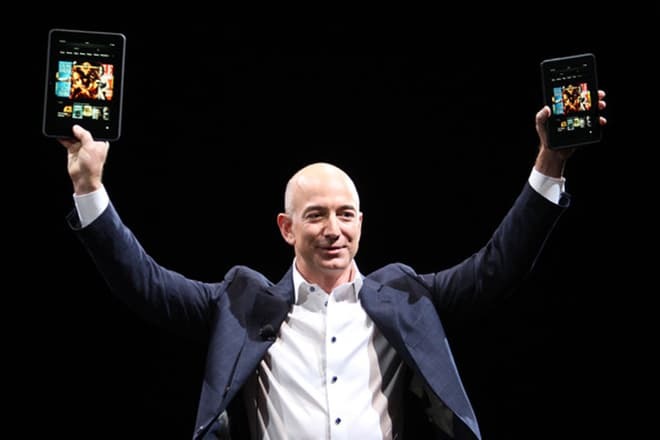 In 1986, Jeff Bezos graduated from the University, becoming a professional in both areas at the same time: in the field of electrical engineering and the field of computer science. Like many successful businessmen, Jeff first gained experience as an ordinary employee. After working in the field of IT, the young man moved to the company "Bankers Trust," he was promoted to the post of Vice-President in a couple of years. Then Jeff changed his job a couple of times, gaining the necessary knowledge about doing business. Soon Bezos realized he was ready for more. At the same time, the man drew attention to the fact that every year the role of online retailers, that is, trade through the Internet, increases thousands of times. This information allowed Bezos to understand that he should look for his niche directly in the field of sales via the Internet. Simple research showed Jeff Bezos that most people buy 20 products online, such as CDs, books, clothes. The choice fell on the book. 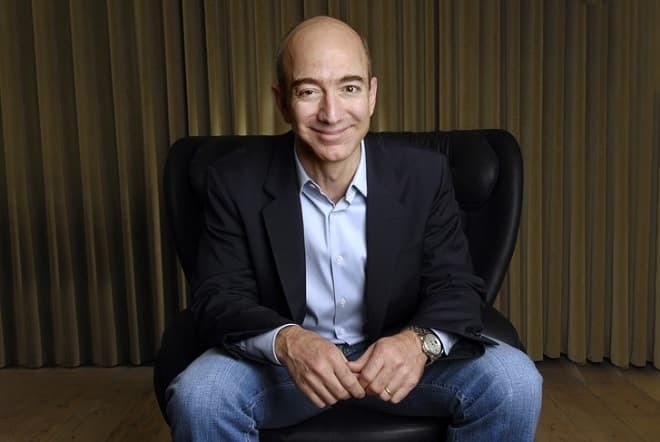 The first office of Bezos`s company, named "Amazon" (by the name of the Amazon River), was located in the garage. Jeff installed several computers and started his own business there. It was in 1995. The project was so successful that the cost of the company "Amazon" was estimated at $6 billion in 1999. Jeff Bezos constantly attracted new and new investors who helped in the development of the project. The company had the first crisis a year later: rumors were spread that "Amazon" will soon collapse, as the sale of goods below the market price cannot always generate income. However, it was clear that market analysts were wrong in 2001: the company was not collapsed, it only seriously expanded due to the replenishment of the range. People could buy both electronic devices, and toys, and even jewelry on the Amazon website. The Internet finally turned from a pure source of information into a full-fledged trading platform. Jeff Bezos founded the aerospace company "Blue Origin"
The project "Amazon" is not the only activity of Jeff Bezos. In 2000, the businessman created the world's first private aerospace company "Blue Origin." The fact that the man was dreaming for a long time of the possibility of ordinary people to travel into space. Now Jeff owns a huge spaceport, which is located on his ranch billionaire in Texas. The company continually publishes reports on its achievements in the field of creating safe space liners for people who want to travel beyond the Earth's orbit. Also in 2013, Jeff Bezos decided to try himself in the publishing business and bought the newspaper "The Washington Post." According to the businessman, this field seemed exciting and promising. Now Jeff systematically converts the newspaper into digital form, gradually reducing the circulation of printed copies. The businessman does not forget about charity. In 2009 and 2010, Jeff Bezos donated tens of millions of dollars to the development of a cancer research center. The billionaire also founded The Bezos Family Foundation, which helps educational and scientific projects. Jeff Bezos treats his personal life as thoroughly as his business. The man arranged a casting for the role of a life partner. Jeff knew exactly what he wanted: to find a wife who would be perfect for the family and give comfort to the house. By the way, Jeff admitted in an interview that the ideal woman, in his understanding, should be "inventive," that is, the same as he, an extraordinary person with unconventional ideas and bold plans. Jeff's chose a girl MacKenzie, an employee of his company. 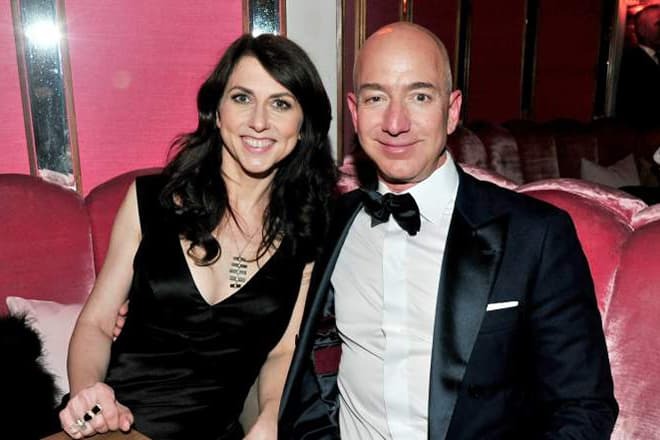 Bezos did not lose: the marriage is happy and the couple has four children now. Jeff and MacKenzie have three sons and a foster daughter from China. In addition to the affairs of Jeff Bezos, many people are interested in the issue of nationality of the businessman. There is a widespread assumption on the Internet that Jeff Bezos is a Jew but these conjectures are not official yet. The businessman continues to work on his projects currently. Besides, Jeff generously shares his knowledge and experience: several books were published in which the businessman talks about the principles and key points that helped to achieve such a dizzying success. Every book instantly becomes a bestseller and Jeff Bezos's quotes are published on Instagram and other social networks. It is not surprising: everyone wants to believe in a miracle. And if an unremarkable man (Jeff is 67 feet tall) was able to achieve such success, each person with proper effort will succeed. Jeff Bezos's net worth is $145.3 billion. In 2017, Jeff's photos were again on the pages of news publications because he held the top spot on Forbes`s ranking. According to the magazine, the state of Jeff Bezos is estimated at $100 billion. So the businessman was the richest man in the world. It is noteworthy that Jeff was the first whose capital reached such a mark. Who knows, maybe Jeff Bezos will surprise humanity with a new, unexpected project again in the near future.